29 gallon, 10 gallon and 75g. 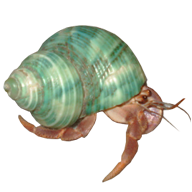 I found you guys through the Hermit Crab Association. I'm from Australia, I came here 2 years ago to get married. Reading, crafts, sewing and spending time with my family.